Send Sunflowers anywhere in Ireland. With their oversized broad faces and vibrant yellow or orange-hued petals, sunflowers have a unique way of brightening a space and the faces of the people who cross paths with them. At Bloom Magic, we take great care to select only the highest-quality fresh-cut blooms for our arrangements and mindfully hand-tie each bouquet, so the presentation stays as flawless as it was created and your display remains fresh for a full week. 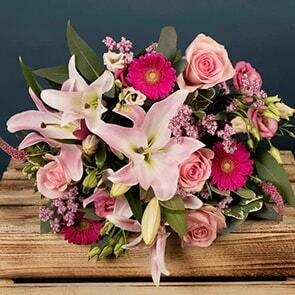 Take advantage of our next-day flower delivery Ireland or same-day flower delivery Dublin and have a cheerful bouquet with sunflowers on hand anytime you’d like. The Bloom Magic catalogue hosts numerous arrangements, designed by Ireland’s best florists expressly for us. Because we focus on quality, our bouquets are free of excess packaging and incorporate local blooms as much as possible, thus ensuring your arrangement will last for an uncommonly long period of time. We include sunflowers in bouquets for all occasions, such as birthdays, anniversaries, get well arrangements, and “just because,” so you’re certain to find just the right thing, no matter what brought you to us today. If you're shopping for a gift, include a personal note with you sentiments, a box of decadent chocolates, or a lovely vase for an extra measure of thoughtfulness. We’re available via live chat on the site, email, and phone, should you require assistance at any time. However, our attention to detail and dedication to quality ensures that we’re always here in the background doing what we can to ensure you and the recipient of your bouquet have a memorable experience. 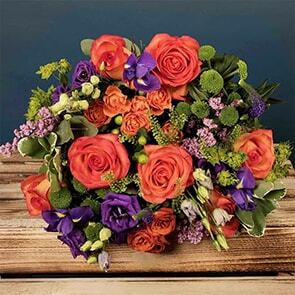 Browse in absolute confidence, knowing that anything you select is protected by the Bloom Magic Quality Guarantee and that a bouquet sure to delight the senses with be mindfully assembled and dispatched promptly upon your request.